At Benson’s, we care about the quality of the air our families are breathing, and we believe you should too. To be assured that the air in your home is pristine, it is critical to clean and/or replace the air ducts in your home. Some people are unsure as to why this has to be done, Benson’s is here to tell you why. Air ducts are composed of many various components, all of which work together to provide you with clean, healthy air throughout your home. Over time, these components will become dirty with dust and other debris. If there is water within the system, there is a possibility that mold will begin to grow, infecting your home with bacteria. These things need to be appropriately dealt with to ensure that you are supplying the people in your home with clean air. It’s critical to make sure that your air duct cleaner will be cleaning the whole system as well. Anyone who is unwilling to complete a full system cleaning is someone you do not want to be messing with your air ducts. Keeping your air ducts maintained will also reduce your wasted energy. If your air ducts are muddled with debris, your system is going to have to work harder to keep the temperature you prefer. This, in turn, will cause your heating and cooling bill to be outrageously high. However, with a clean system, efficiency will be at its highest point, allowing you to maintain a lower cost of heating and cooling. Don’t let your air heating and cooling be a case of throwing away money without knowing the problem! Now that you know some of the best reasons to get your air ducts cleaned, call Benson’s today if you have any questions! 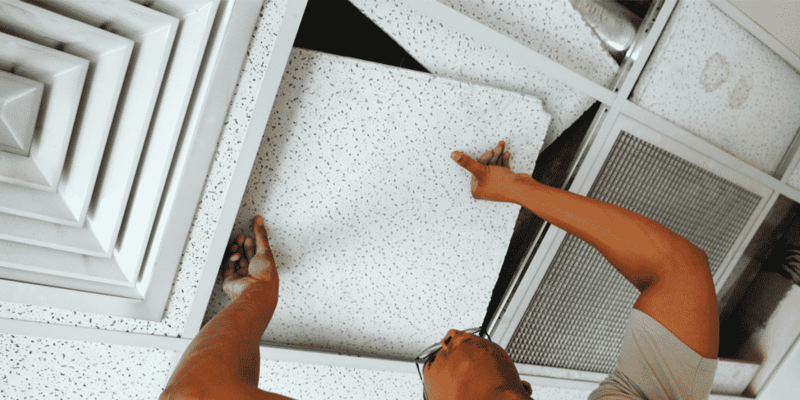 When it comes to air duct cleaning, we have a five-step process to assess, diagnose, and improve your air quality.